Is Teeth Whitening in Texarkana the Secret to a Beautiful Smile? The start of a new year is a great time to focus on self-improvement. Popular goals include losing weight, quitting smoking, and getting organized. But have you ever considered adding smile enhancement to your list of resolutions? If so, then it’s time to learn more about teeth whitening in Texarkana and the benefits it provides. In-office whitening allows you to relax in a comfortable dentist’s chair while a trained dental professional applies treatment gel to your teeth one at a time. Once the procedure is over, you go about your business. With at-home whitening, you take a prescription whitening kit from the office with you to use in the comfort of your own residence. This is a great option for people who are pressed for time. Uncertain of which option to choose? In-office whitening is the way to go if your priority is premium results in the shortest amount of time. 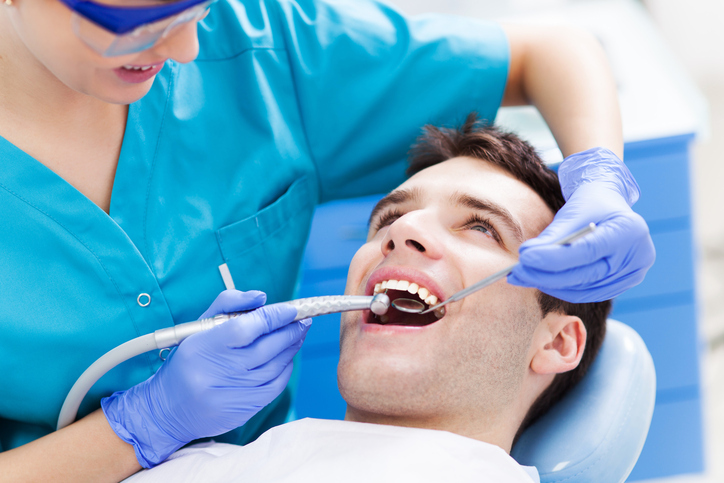 Most patients are able to walk out of the office in an hour to an hour and a half with a beautiful new smile. On the other hand, at-home whitening is the better choice if you’re willing to wait a little longer to obtain the results you’re after. You’ll go home with all the supplies needed to whiten your own teeth, including your own gel and whitening trays. Treatment takes about 30 minutes per day. Obtaining optimum results from at-home treatment usually takes 10-14 days or so. Of course, during each session you’ll be able to watch TV, surf the Net, or just relax while the product does all the work. Whether you choose in-office or at-home treatment, you’ll get a far better outcome than you can expect from over-the-counter products sold online or at mass retailers. The formulas found in those mass-produced products provide only a modest whitening effect at best. Trusting your dentist for your teeth whitening needs also allows him or her to make sure your teeth and gums are in good shape. Not only will this help to prevent cavities, it’s important for catching more serious conditions before they turn into real problems. While you’re at the office, a staff member will update your records and ensure that your coverage information is up-to-date. The last thing you need when the unexpected occurs is a time-consuming delay. 2019 is well underway. Soon winter will give way to spring and then to summer. Make sure you’re ready for the active season by seeing your dentist soon for a checkup and prescription teeth whitening. You’ll love the results every time you look in the mirror. We wish you and your loved ones all the best throughout the new year. Dr. Torin Marracino has been practicing dentistry for more than 10 years. A graduate of the University of Tennessee’s dental program, he’s a proud member of the ADA and the American Academy for Dental Sleep Medicine. You can reach his office online or by calling (903) 838-9700. Comments Off on Is Teeth Whitening in Texarkana the Secret to a Beautiful Smile?